Sixteen members of the Eighth New Zealand Contingent were killed when their train collided with a goods train at Machavie (Machavierug), near Potchefstroom in Transvaal. The Eighth Contingent had only been in South Africa for a few weeks when the accident occurred. The South African War (also known as the Second Anglo-Boer War) was the first overseas conflict to involve New Zealand troops. Fought between the British Empire and the Boer South African Republic (Transvaal) and its Orange Free State ally, it was the culmination of longstanding tensions in southern Africa. Eager to display New Zealand’s commitment to the British Empire, Premier Richard Seddon offered to send troops two weeks before the conflict even broke out. 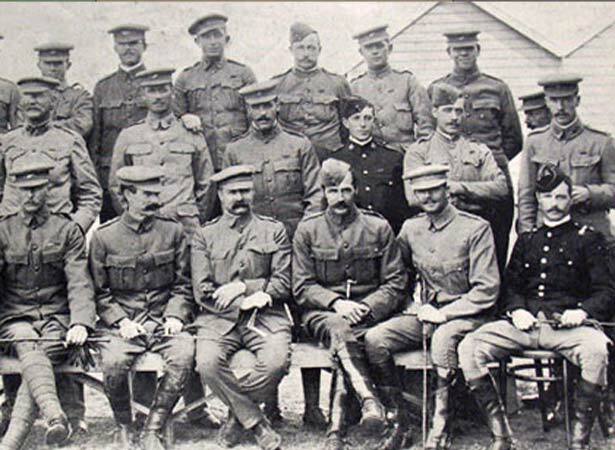 Hundreds of men applied to serve, and by the time war began in October 1899, the First Contingent was already preparing to depart for South Africa. During the course of the war 6507 New Zealand troops served in the 10 contingents that were sent. The New Zealanders suffered 230 fatal casualties: 71 men were killed in action or died of wounds, 26 were killed in accidents such as the incident at Machavie, and 133 died of disease. We have 5 biographies, 3 articles, related to Railway accident in South Africa kills 16 New Zealand soldiers.